The good thing about hosting special events like last July’s Hot Dog Fest is that I’m able to invite Food Trucks that don’t normally attend my events because of where they’re located. Munchie’s Snack Shack is one of those trucks with a home base of Lake Worth. It’s a bit of a trip for either of us. Luckily, the stars aligned and we were able to find a middle ground at Mardi Gras Casino in Hallandale Beach. The menu has essentially two options: A half-pound Angus Burger or a quarter pound Nathan’s Hot Dog. For you indecisive types there are 10 preselected styles that you can apply to either the Burger or Hot Dog. Of course, if you’re one of those folks who like to hold up the line and create your own Burger by choosing the toppings you can do that too. 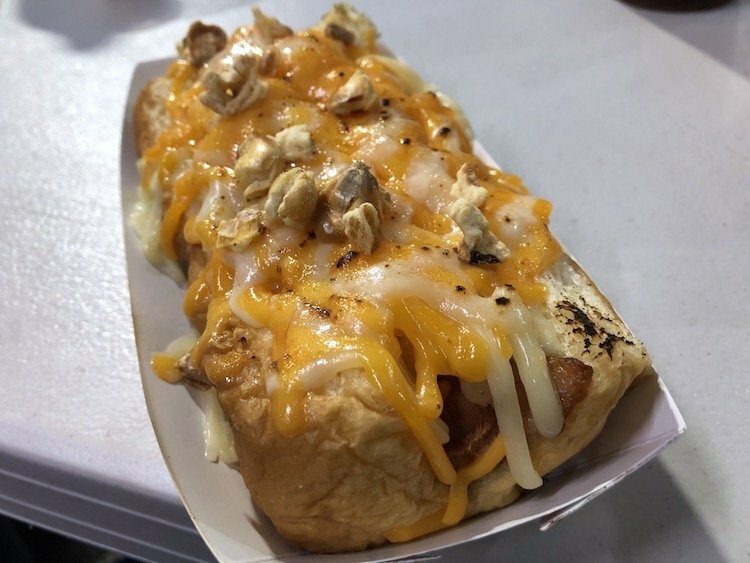 The Truckstop Dog (1/4 lb Hot Dog topped with CrBacon, Homemade Mashed Potatoes, Chili, diced Onions, & Shredded Cheddar Cheese on a toasted Bun) was Munchie’s Snack Shack’s featured dog for the Hot Dog Fest. It made sense that I needed to find out what this was all about. I’ve had Chili and Mac & Cheese together but Chili & Mashed Potatoes, never. The first bite found me feeling out the flavor combinations. I couldn’t quite wrap my head around it. It was kinda like trying to stuff a square through a circle. This is the part where you might think I didn’t finish it but I did. It all worked in a wacky kinda way and I find myself right now craving another one. Growing up I loved char-grilled Burgers and somewhere along the line, it changed. 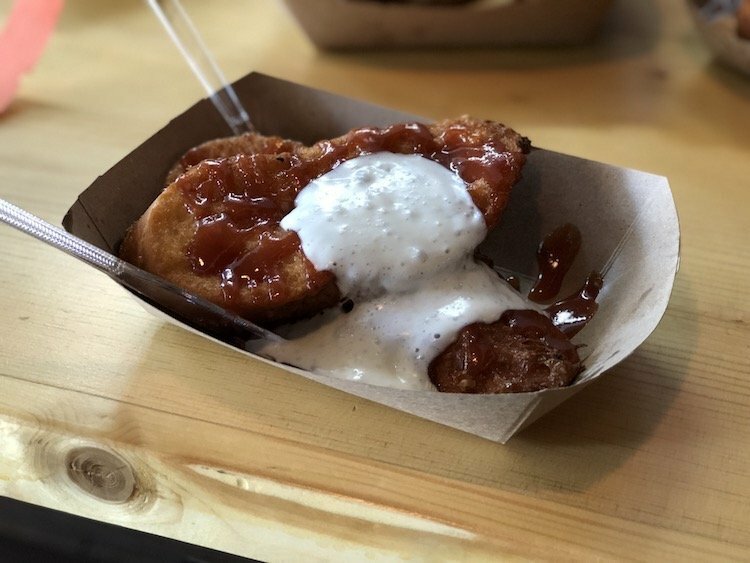 Sure, I still love a great BBQ Burger on a Sunday afternoon at my parent’s house as much as the next guy but I had been converted to a flat-top only kinda guy at restaurants. It’s probably because most restaurants that char-grill their Burgers don’t pass on that great smokiness to the patties, enter Munchie’s Snack Shack. They do, yes they’re guilty as charged. I’m all about their Mardi Gras Burger (Cajun Sauce, Cheddar Cheese, Onions, & Pickles on a toasted Bun). Honestly, take one second to look at the picture below and tell me how ready you are to have one of those bad boys right now? I’m actually considering printing out the Mardi Gras Burger picture and eating it. You can find Munchie’s Snack Shack at northern Broward County and Palm Beach County events but maybe, just maybe we can lure them down here. All you’ve got to do is use the power of social media and let them know you need them. In the meantime, I’m off to buy some edible paper.